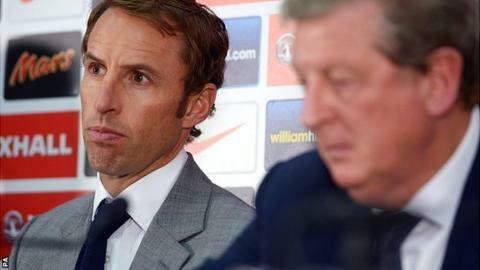 New England Under-21 manager Gareth Southgate says his team's style of play will take precedence over results. Southgate added that his primary role was to prepare players for the senior team rather than win tournaments. "I'm under a little less pressure for results, although we want to get them in the habit of winning," Southgate told BBC Radio 5 live's Sportsweek. "But winning alone is not our aim. They've got to learn to win a certain way to be of use to the seniors." Former England defender and Middlesbrough manager Southgate recently succeeded Stuart Pearce, who left in June following a disappointing European Championship. Southgate was previously the Football Association head of elite development, leaving the post in July 2012. "It's a position of great responsibility," added the 42-year-old. "There's an opportunity to play in a certain style that will prepare these youngsters for when they go into the senior team. "The top sides in the Premier League play a possession-based game and to be successful at international level that's the way we need to play. "Culturally, maybe because of the way football has been historically taught in England, we haven't encouraged more creative players to come through. "But I do see a new breed of players coming through that are much more technically proficient. "Although technique isn't the only determining factor. They have to be tremendously physical and mentally strong as well." Southgate's first game in charge is the 2015 European Championship qualifier against Moldova on 5 September at Reading's Madejski Stadium, before his team face Finland away four days later.